...and if you get lost, ask the squirrel for directions. This is my second piece for Acidfree Gallery's Myth's and Monsters show opening this Friday, July 27th. I wanted to do a piece based on cosmology of Norse mythology and the nine homeworlds unified by the world tree Yggdrasill. 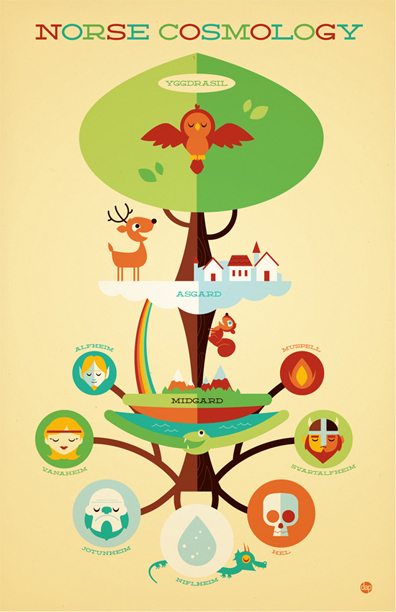 I think my favorite part about the world of Norse myth is the squirrel named Ratatoskr who runs up and down the tree relaying insults to eagle perched atop to the dragon Nidhogg below.